TWO TEAMS of Wearside hospitality students will be cooking up a storm when they compete to run the most profitable pop-up restaurant at a leading North East hotel. Fourteen Sunderland University students will be taking over the acclaimed Promenade Restaurant at Sunderland's Marriott Hotel for two nights in May - getting a real flavour of what it's like to run a venue. The students will look after all aspects of the restaurant, from deciding on a theme to marketing and promoting their particular night to working with the chefs to decide on the menu. The emphasis will be on using local produce and has won the support of award-winning, Whitburn-based Latimer's Seafood which will be providing the main ingredients for the menu. The teams have come up with two very different themed evenings and will be competing to make the most money with the hope of selling out their events. 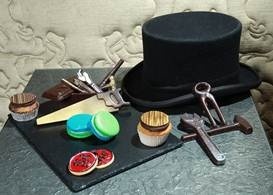 Forget the fairy cakes and pink tarts, there are no girly frills at this award-winning* afternoon tea experience. Treat dad this Father's Day at The Royal Horseguards' relaxing lounge or the stylish Equus bar - a backdrop designed specifically with the modern gent in mind. Filled with flavours fit for Father's Day, the menu includes a selection of savoury bites including a 'beef and Meantime Ale pie', 'mini fish and chips with pea puree', 'smoked bacon and cheddar savoury muffin' and a 'Casterbridge steak sandwich'. Not a cute cupcake in sight, the selection of sweet treats includes 'macho, man-sized cupcakes' in 'whiskey and walnut' and 'chocolate and chilli' flavours, manly macaroons and a chocolate tool kit. Dorset's only Michelin Starred Chef, Russell Brown, is celebrating 10 years of success in the county town. 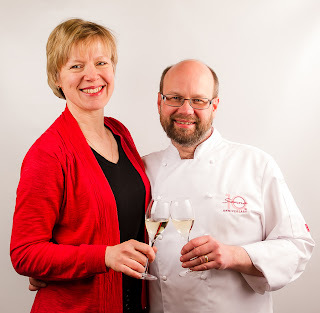 Russell and his wife Elena opened Sienna Restaurant in Dorchester's High West Street in 2003 and went on to pick numerous awards, including 3 AA Rosettes and a Michelin Star (the first in Dorset for 20 years). Tickets for a 10-day event at Sienna Restaurant to celebrate sold out quickly. The event will raise funds for the charity Hospitality Action and tickets for a raffle in aid of Hospitality Action are still available. Sponsors of the event include Bollinger Champagne, Blackacre Farm Eggs, Westwood House, Richard Budd Photography, Dorset Wines and Villeroy & Boch. The Malton Food Festival is a must-visit for food lovers across the country, with thousands of people attending the weekend each May and this year The White Swan Inn in Pickering, North Yorkshire, is making sure it is a foodie break to remember. 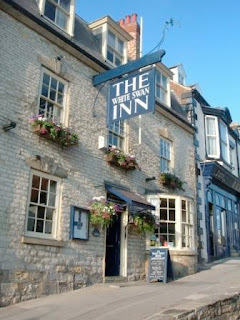 Only a 15 minute car drive away from Malton, in the bustling town of Pickering, the White Swan Inn is fast becoming a true 'foodie' paradise and is the ideal home from home for festival goers wanting to immerse themselves in all things tasty. One of only two venues outside of London to be supplied by the renowned Ginger Pig butchery, food lovers can head back and indulge themselves further at the hotel's award-winning AA Rosette restaurant. Preparations have commenced at Wentbridge House as the hotel gets ready to welcome over 2000 people to celebrate Yorkshire Day on 1st August 2013. Wentbridge House in Pontefract will welcome visitors from far and wide to celebrate all things Yorkshire at the annual free show which will feature live music, local trade stalls and the region's top chefs showcasing the very best local produce, all in aid of the Yorkshire Air Ambulance and Yorkshire Wildlife Trust. Now in its third year, the event has become a benchmark event in the Yorkshire calander and this year Wentbridge House hope to raise a record amount for their chosen charities, exeeding the £5000 that was raised in 2012. Last year's event saw everything from falconry demonstrations to flat cap flinging and a whole host of activities for all of the family. The show is also a mecca for food lovers who flock to Wentbridge House to sample the local cheeses, hog roasts and Yorkshire ales. Now in its 12th year, National Bread Week celebrates the "roll" bread has played in our lives for over 5,000 years and the hotel too is a big fan, knowing that nothing compares to the taste of home-made bread - their brigade of chefs working tirelessly every morning to ensure guests can enjoy freshly baked goods. It's not just the cooking professionals that are passionate about all things bread as the hotel's owner, Peter Phillips, makes bread every morning so he and co-owner Barbara-Anne Johnson can have it with their fresh Neasham eggs for breakfast. That's why from 16th-22nd April, Head Chef, Lee Stainthorpe and his team will be offering diners the chance to sample their limited edition Black Pudding bread. For one week only this tasty loaf will be served alongside white and wholemeal bread as part of the recently awarded 2 AA Rosette Gilroy's Restaurant service. 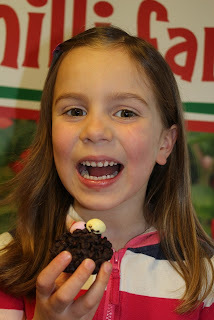 Children at the forthcoming Exeter Festival of South West Food and Drink (26th to 28th April) will have the chance to make their own chilli chocolate crispy cakes in the Dart's Farm 'Food is Fun' teepee. Using South Devon Chilli Farm's child friendly Honeycomb chilli chocolate there's bound to be plenty of little fingers ready to clean out the mixing bowl. Whilst the children are participating in this, parents can test their knowledge on the subject with their very own chilli challenge. The campaign, which promotes five key European products from the food and wine industry, will feature at The Source on stand B26/C21. Discover the Origin was established in 2008 and is designed to raise awareness around five Protected Designation of Origin (PDO) products: Bourgogne Wines Parma Ham Douro Wines Parmigiano-Reggiano Cheese Port Nathalie Hordonneau, coordinator for the Discover the Origin Campaign, says: "Reaching trade professionals across the UK is at the forefront of the Discover the Origin campaign. This is our first time at The Source and we're very excited to be exhibiting at such a prestigious food and drink trade event. Britain's foodie revolution shows no signs of abating and learning where food comes from is a big part of this trend. Discover the Origin can help trade professionals to find out more about the provenance of these five popular products to then pass on to their customers." A record number of entries have been received from food and drink producers in Ireland by organisers of Great Taste 2013 - over 2400 in total from the whole Food Isle. From Northern Ireland there are 627 entries (up by 29% on 2012) and in the Republic of Ireland a total of 1806 products have been entered (43% up on 2012). A week of judging, supported by distributor Pallas Foods, will take place at Bewley's Hotel, Dublin, in late April, which involves each product being blind-tasted by expert food judges including chefs, restaurateurs, food writers and specialist food and drink retailers. The products awarded 3-stars during this week, will then go forward to the final stages of Great Taste 2013 which takes place in London in July. The Goring has been serving its quintessentially English Afternoon Tea since the day the hotel opened in 1910 and after 113 years, has mastered the perfect menu - with everything from deliciously traditional British brews, to tea-leaves sourced from the foot of the Himalayas. Such excellence has resulted in The Goring's Afternoon Tea being awarded with one of the highest accolades from the UK Tea Guild, The 2013 Top London Afternoon Tea Award. Now in its 28th year, The UK Tea Council's Tea Guild Awards are considered to be The Oscars of the tea world, with world-famous London hotels and tea rooms competing for this highly coveted honour. 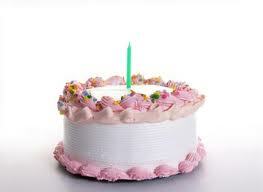 As the Relish Food Marketing team celebrate their first birthday this week, there is much to celebrate! "In the past year we've been over the moon to see so many of our members and clients achieve their aspirations for their brands, with our help; and to have been instrumental in the launch of so many unique and innovative products." Claire Hooper, co-founder of Relish, food brand, product development & online marketing expert. 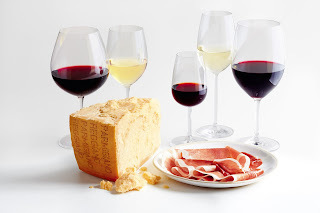 In the current climate, it is refreshing to be able to rely on five key European food and drink products whose heritage and methods of production date back thousands of years, namely, Douro Wines, Port, Parma Ham, Bourgogne Wines and Parmigiano-Reggiano Cheese. These fine products from Italy, France and Portugal are a celebration of man's quest and passion for exceptional quality, relying on expertise that has been practised and perfected throughout time. The modern-day consumer wants to be informed and know exactly where their food is coming from, how it has been produced and what it contains. The modern consumer no longer relies solely on the accuracy of labelling on the products they purchase. Instead, today's consumer is turning to products that are steeped in a history of quality assurance, traceability and transparency; products that they can rely upon to be authentic due to their reputation, longevity and stamp of quality. The Cake & Bake Show, in partnership with Bakingmad.com, held its first northern show this weekend in Manchester and notched up another sell out success. 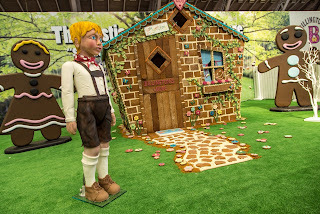 Over 27,000 baking fans walked through the doors of Manchester Central to enjoy the country's biggest experiential baking show. An incredible 32,000 pieces of cake and over 10,500 pies were sold over the three days. 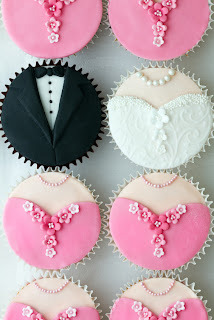 With Wedding Season fast approaching and more couples than ever choosing to create their own wedding cake, online cake experts Make Bake share their top tips for DIY Wedding cakes and wowing your guests! Get inspired Inspiration is key, so do your research and look for cake designs that catch your eye. Remember to be realistic, for beginners we would suggest selecting a simple design that you’re confident you can perfect. Practice, Practice, Practice To get your skills to a professional level, we recommend creating and decorating a number of different cakes a few months prior to your big day to discover your decorating strengths and weaknesses and perfect your final design. Depending on the style of cake you have decided on, you will need a range of tools to get the most professional finish for your cake. From piping bags, cake decorating pens and sugar flowers, the Make Bake website has a number of tools to help you create your ideal wedding cake design. A new app has been launched to guide people to the best ice cream sellers in the UK. With just a virtual click of a button, smart phone, ipad and tablet users will be directed to their nearest quality ice cream provider. The free ICA app is the first of its kind in the UK and has been introduced by The Ice Cream Alliance - the trade body for the £1.1bn ice cream industry. The app, available for iphone and android formats, will display profiles for each ice cream parlour and provide easy to follow directions to get to their chosen parlour. It also contains information on ice cream and has a link to an ice cream game and to social networks. 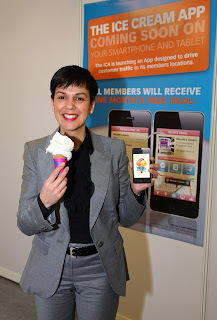 Zelica Carr,Chief Executive Officer of The Ice Cream Alliance, said: "The new app will be a must have for all lovers of quality ice cream. It contains details of more than 250 of the UK's premium ice cream providers." The ICA App can be downloaded for free at the itunes store or www.android.com. 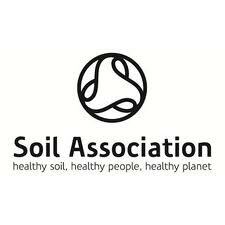 Winners of the prestigious Natural and Organic Awards 2013, hosted in association with the Soil Association, were announced at the Natural and Organic Products show yesterday [Sunday 7 April] at the Novotel London West. The awards were presented by Michaela Strachan of BBC's Autumn Watch, Elephant Diaries and Countryfile. The annual ceremony, now in its eighteenth year, is one of the only awards that celebrates the organic industry's most innovative businesses and products in three categories: textile, retail and beauty. Out of all the wine producing country that you have in Europe it must be one of the oldest. And as so much of Ancient Greek culture was taken on by the Romans and then pushed all over there empire that it would look like the Romans invent wine. The fact that neither of them did and it probably first was produced in Georgia around 7000 BC. Or Greater Iran dated 4500 BC or Armenia 4100, but defiantly not the Greeks or the Romans. But having said that Greece is one of the oldest wine-producing regions in the world, dating back to about 6,500 years ago. In fact it can be said that Greece influenced the rest of Europe. 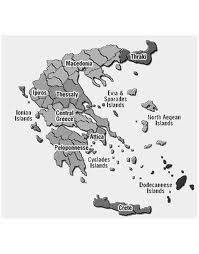 The ancient Greeks where pioneers in viticulture and wine production. And evidence shows that by trade and other methods that what are now France, Italy, Austria and Russia to name a few where shown how to by the Greeks. It was the winemaking Celts, Etruscans, Scythians and ultimately the Romans who then carried it on. If you have a food or drink business in Leicestershire, don’t miss the opportunity of getting involved in this year’s Leicester and Leicestershire Food Fortnight. Over 55 individual businesses took part in last year’s initiative to raise the profile of food and drink in the county – and there were a staggering 75 individual food-based events for people to visit. Businesses reported increased footfall and sales and more importantly their visibility in the community was raised with a national and local PR campaign, online listings on the dedicated website and entry into the Leicester Mercury Events Guide – which is all free to the businesses and community groups taking part. Work on this year’s Food Fortnight has already started and Leicestershire County Council and Leicester City Council are calling for all food and drink businesses or community groups in Leicester and Leicestershire to get in touch. 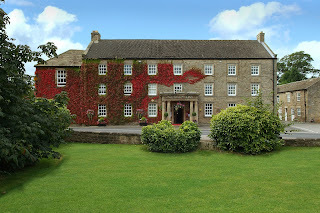 Spring has finally sprung in North Yorkshire and The White Swan Inn in Pickering is celebrating the long awaited change in season with a fabulous new break, allowing guests to discover the blooming gardens of North Yorkshire while enjoying delicious food, luxurious bedrooms and the warmest hospitality at the celebrated 16th century coaching inn. Set in the historic market town of Pickering, the enchanting Inn offers a luxurious base for guests to feast on fabulous food and rest a weary head after days spent exploring Yorkshire's romantic gardens and famous landscapes. 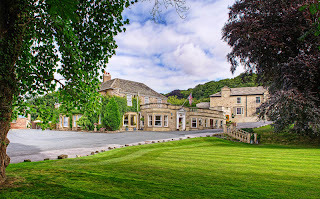 The hotel's unique location on the edge of the North Yorkshire Moors makes it easily accessible to countless natural beauties and stunning unique gardens. 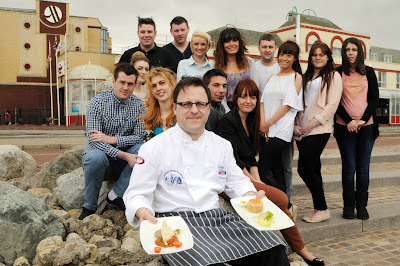 Acclaimed chefs and award-winning Cornish food producers are among the line up announced for the fourth Rock Oyster Festival, taking place from Friday 21 to Sunday 23 June 2013. 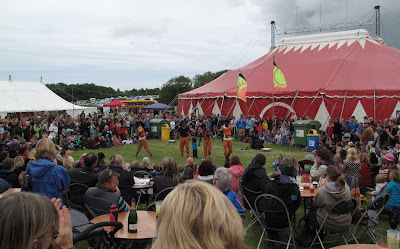 Fantastic food combines with eclectic music and a host of children’s entertainment at this mid-summer celebration held on the banks of the Camel Estuary in North Cornwall. Food writer and The Times columnist Joanna Weinberg will join chef Paul Ainsworth from Michelin-starred Number 6 in Padstow, Tom Hunter from The Scarlet Hotel and Rick Stein’s son Jack, in the Flying Fish Demonstration Theatre. Jack Stein, head of development at The Seafood Restaurant said: “This is my first time demonstrating at Rock Oyster Festival and I am really looking forward to it. It is a really unique event in an amazing location and of course the food and drink on offer represents a lot of what makes Cornwall such an amazing place to be a chef. Celebrate St George's Day on 23rd April and enjoy the best of English cooking with an Italian twist! Begin by roasting Yorkshire puddings until golden brown. To make the pistou, blend basil, garlic, Parmigiano Reggiano, olive oil and pepper until smooth. Then, combine cream cheese with crème fraîche and add half the pistou sauce. 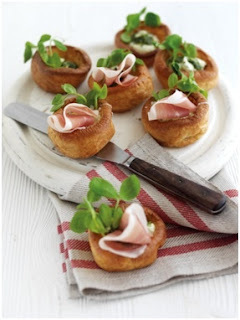 Spoon cream cheese mixture into Yorkshire puddings and top with more pistou before finishing with seasonal watercress and delicious Parma Ham slices. 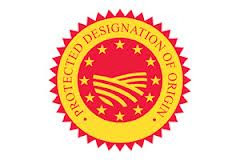 ﻿ Parma Ham is a Protected Designation of Origin (PDO) product and is 100% natural. The drying process that Parma Ham goes through creates a ham that is very low in fat content, with many mineral salts, vitamins, antioxidants and easily digestible proteins. This means that Parma Ham is truly a food for everyone.